The first shots of the American Civil War were fired by Confederate artillery at Fort Sumter in South Carolina in 1861. The fort sits in Charleston harbour and is a five-sided brick structure. Our new Sumter model is part of our Small Scale Scenery range – ideal for Aeronef, Land Ironclads or other 2mm or 1/1200th scale games. The main part of the fort is a single-piece resin casting, and it also has a large number of guns on the upper tier which are separate metal pieces. 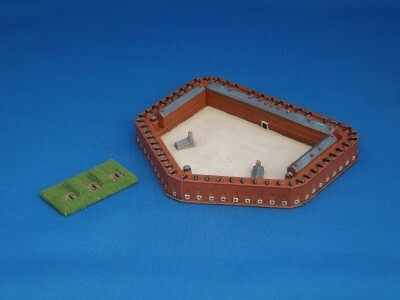 The model represents the fort as it was during the Civil War – nowadays the outline is the same, but in detail the fort is quite different. To accompany Fort Sumter, we have a second, somewhat smaller and rather less significant installation from the Charleston area. Fort Palmetto is a rather grand name for what was really only a small 3-gun earthwork artillery battery. Now available at the Fantasy Arc webstore, Bug Hunt Locations and the Bug Hunter's Box Set! The Bug Hunt Locations are seven rooms: Armory, Bridge, Bug Hunter's Ship, Escape Pod, Engine Room, Hibernation Room, and Laboratory, designed to represent the room tiles from the AVP boardgame. Each room features extra interior details, like engine coils or hyper sleep pods, and the Bridge and Laboratory also include engraved, translucent acrylic computer screens! 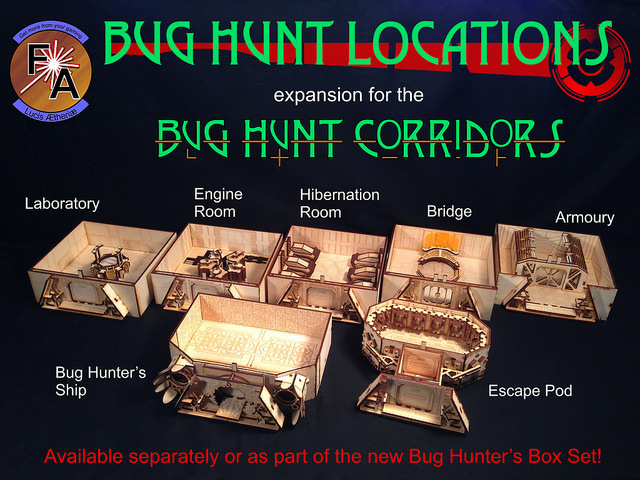 The Bug Hunter's Boxed Set is a new set, containing the seven Bug Hunt Locations and an assortment of Bug Hunt Corridors, that provides everything you need (minus airshafts) to replace the tiles from the ten prepackaged mission layouts in AVP and play them in full 3D! Please note this set does not replace every single tile included in the AVP boardgame, just those required for the ten missions found in the game book. Not an AVP player? No worries, all of the Bug Hunt Locations are fully compatible with the existing Bug Hunt Corridors and will slot into your current set without trouble. Try adding a location or two to your corridor layout to create interesting and detailed objective points to battle over. 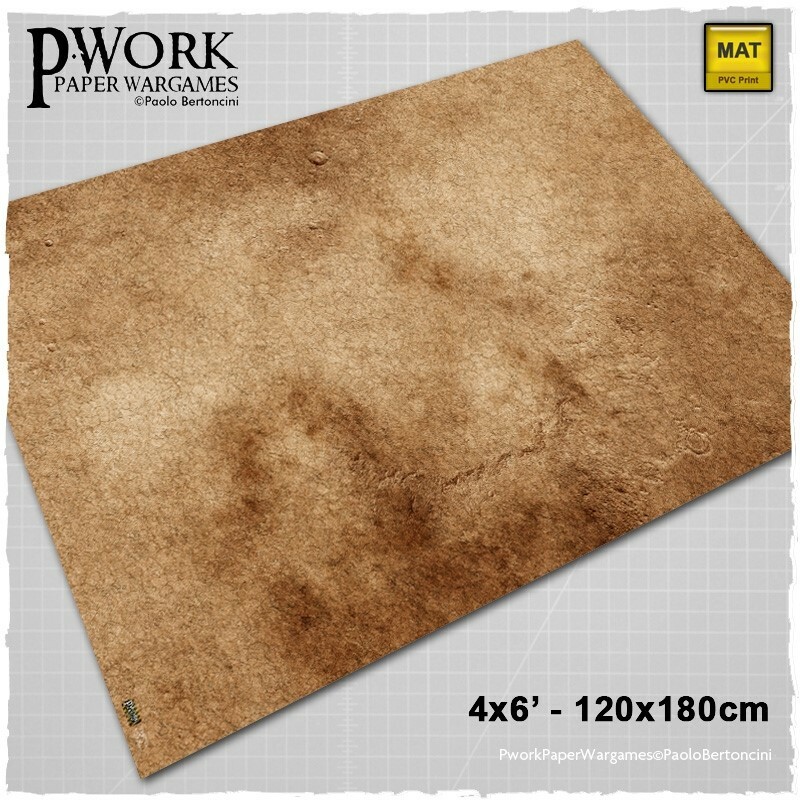 The Game Mat War Sands is a PVC or CLOTH made rollable terrain mat, ideal for wargames, in size 4x6’ (122x183cm), 4x4’ (122x122cm), 3x3’ (92x92cm), 3x6' (92x183cm), representing the scenery of a land of sand and crumbled rocks, a desert strongly heated by the relentless rays of the sun. 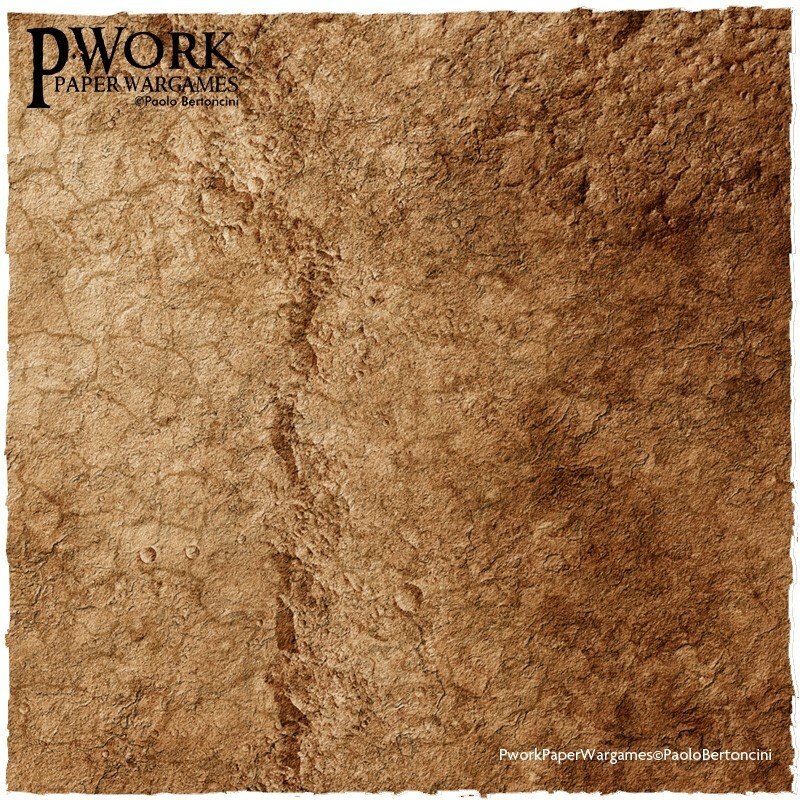 The Wargame Mat War Sands offers the possibility of setting battles between armies of miniatures on a desert with no shade or shelter, where the air itself burns the lungs and scald the skin. The mat is a perfect fantasy setting for deploying vast armies, and also ideal for historical game settings or science-fiction fights! Are you ready to battle? The strength of the PVC material and the high quality of the printed image make War Sands a perfect and essential accessory for playing at your favorite wargame. It's practical, It takes up little space, It's ideal for players that want a wonderful and great-looking setting where play their favourite wargames. You can also choose War Sands in the new released SYNTHETIC CLOTH version, that will allow you to set your battles on a lightweight gaming mat, characterized by brilliance, definition and compactness of colors ,everywhere trasportable and at the same time with an high level graphic. Ultra-light and easy to store (you can bend It like a tablecloth without risking to ruin It), It’is printed on a cloth-weave, durable and resistant to washing (can be machine-washed and ironed with an iron steam). It also has a sewn hem that prevents the cloth from fraying.